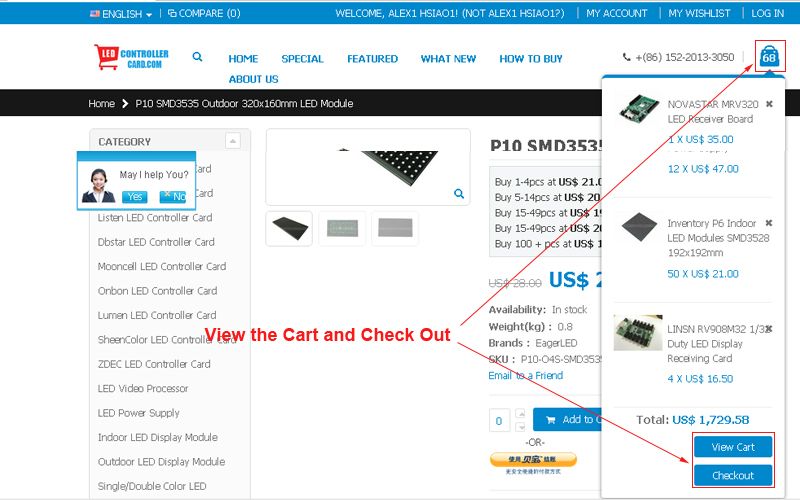 2: Hover over the Cart icon and scroll down to view cart or going to check out. 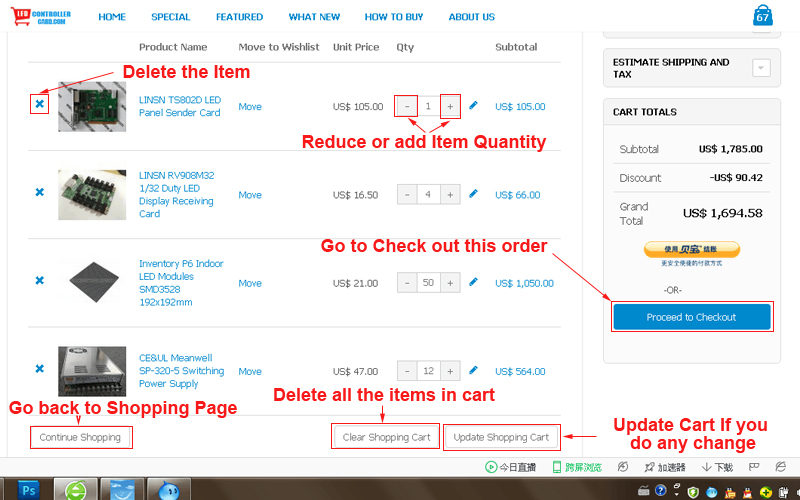 3: Edit the cart then update, going to check out. 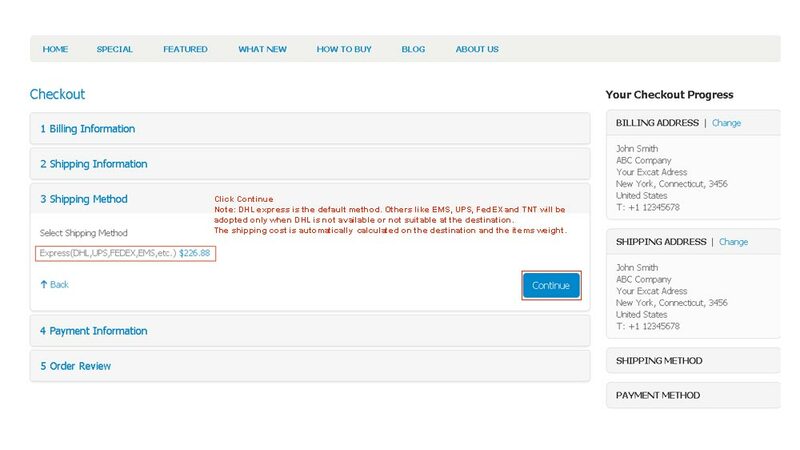 Notice that our Minimum Order is 50usd, you can't continue if the amount is less than 50 usd. 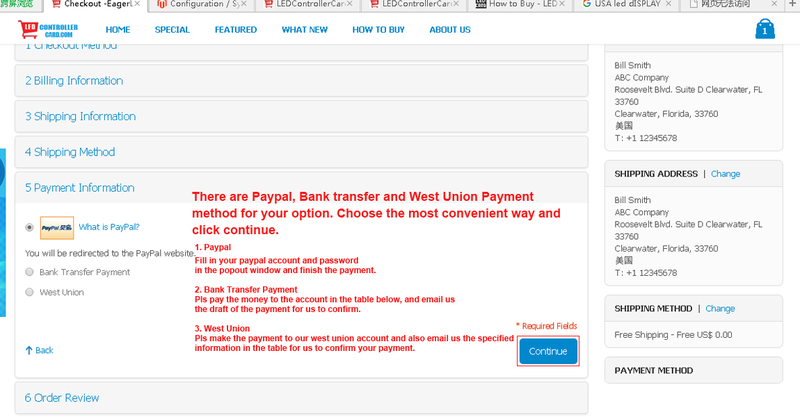 4: Then you will need to register or loggin in to finish the payment. 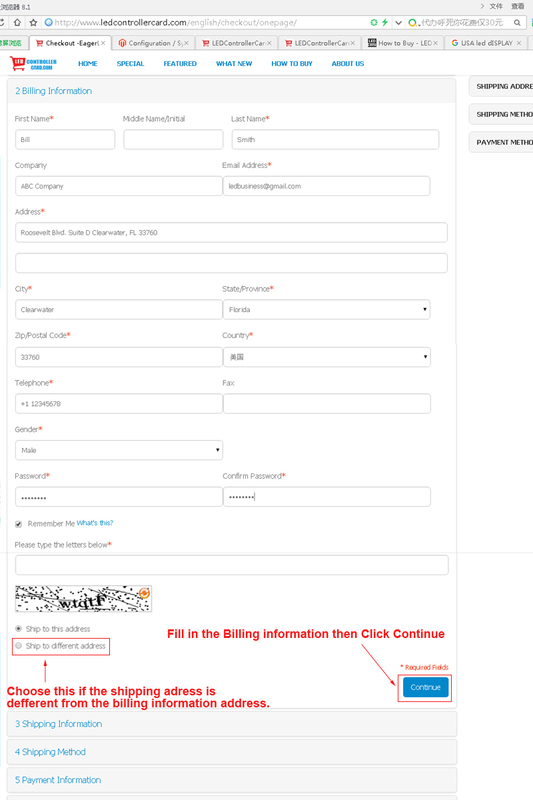 5: Fill in the billing information. 6. Click Continue . 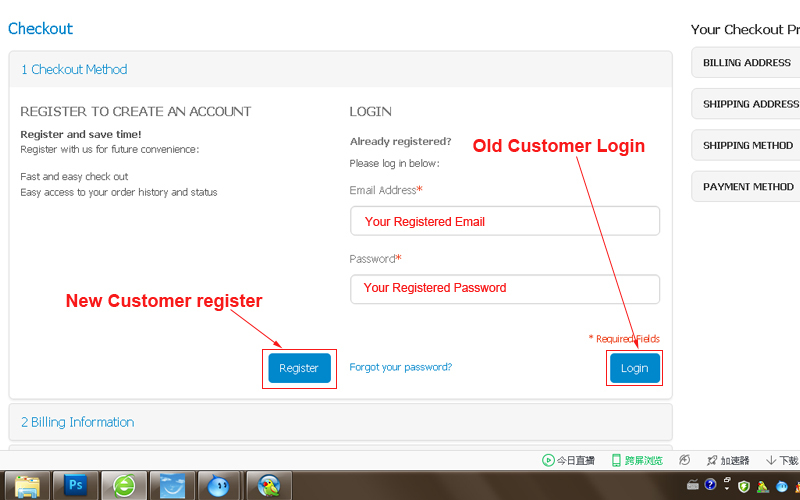 Note: DHL express is the default method. Others like EMS, UPS, FedEX and TNT will be adopted only when DHL is not available or not suitable at the destination. 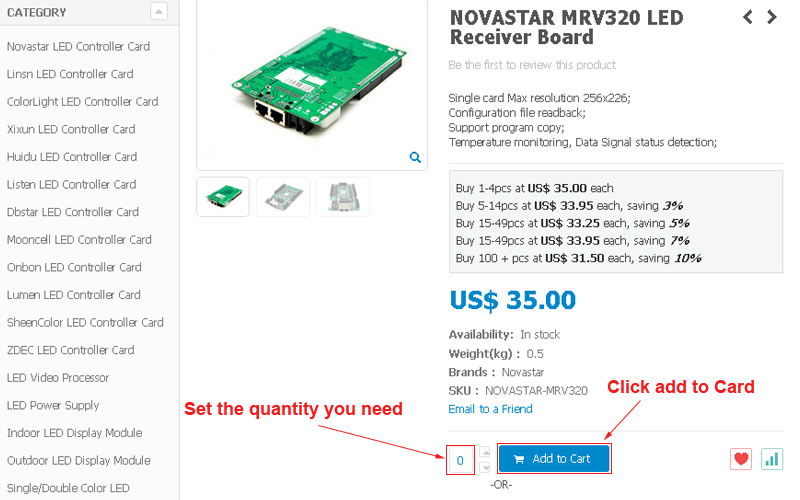 The shipping cost is automatically calculated on the destination and the items weight. 7: Choose the most operable payment method for yourself.